Due to its stunning canal system and almost car-free town centre, the Dutch village of Giethoorn is commonly called ‘the Venice of the Netherlands’. Boats are the main mode of transportation in the village and it is easy enough to spend whole days exploring Giethoorn’s delightful waterways. However, there are many other attractions located along the village’s canals including a living museum and another institute dedicated to decorative shells. 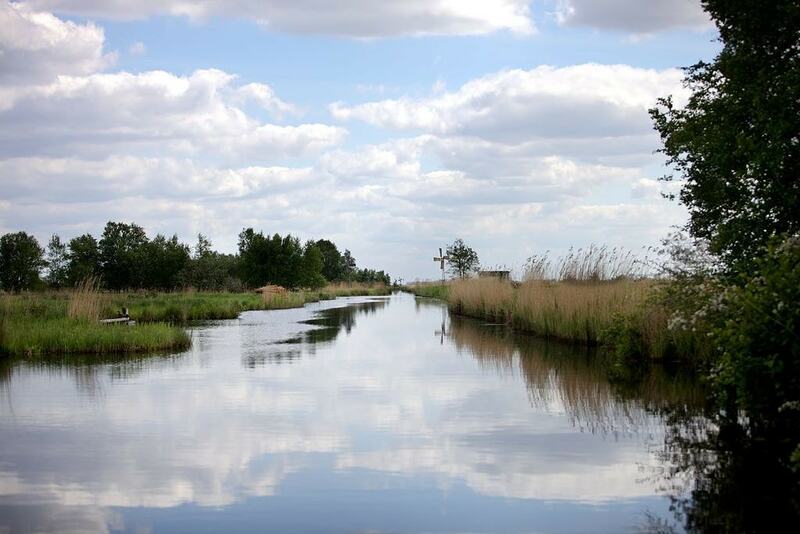 Even though many Dutch towns features historic canal network, Giethoorn’s waterways are unique for several reasons. These wide, low-lying canals were built around the 17th century mainly for ferrying farmers and their goods. Unlike other canal networks in the Netherlands, Giethoorn’s waterways feature tall, narrow bridges that are high enough to allow ships carrying stacks of hay to pass underneath. The canals are still used by locals, in lieu of conventional roads, and it is possible to explore Giethoorn almost completely by boat. Giethoorn’s canals flow past dozens of picturesque, country cottages that look like they’ve been lifted straight from a fairytale. Many homes inside the village were built over 100 years ago and still feature charming, thatched roofs and colorful facades. After exploring Giethoorn by boat, it’s definitely worth taking some time to dawdle along the village’s footpaths and check out the high wooden bridges scattered along its canals. At this living museum, actors reenact scenes from Giethoorn’s past, allowing visitors to experience the village’s rich, rural history. The museum’s exhibitions cover many aspects of the villages past and mainly revolve around local trades like farming, fishing and peat mining. This delightful museum is named after its most prized possession: a rare shell, called Gloria Maris, that’s produced by sea snails in the Pacific and Indian Oceans. These specimens were exceptionally valuable until relatively recently and are still treasured by collectors throughout the world. The museum’s collection includes many other precious shells as well as jewellery and decorative items. Giethoorn is surrounded by one of the largest national parks in the Netherlands that cover over 100 square kilometers of land. The park contains many boggy areas that were evacuated over the centuries in order to produce peat, which was among the most valuable commodity available in the Netherlands for a considerable part of the country’s history. Today, the park features many picturesque waterways that trail past its rich, natural landscapes and dozens of grassy spots that accommodate a diverse range of fauna including green hawker dragonflies, otters and large copper butterflies. The title of this museum translates into English as the Old Earth, which clearly hints at the institution’s main curatorial focus; gemstones and other ancient minerals. The museum was founded in 1969 and has since gathered together an impressive collection of geographical specimens, including many stunning precious stones and fascinating fossils. There’s also a gemstone and souvenir store located inside the museum.